Dejan Lazic’s fresh interpretations of the repertoire have established him as one of the most unique and unusual soloists of his generation. He appears with such orchestras as the Budapest Festival Orchestra, City of Birmingham Symphony Orchestra, NDR Sinfonieorchester Hamburg, Netherlands Philharmonic, Rotterdam Philharmonic, Helsinki Philharmonic, Swedish Radio Symphony, Danish National Symphony, Chicago Symphony, Atlanta Symphony, and the Australian, Netherlands, and Basel Chamber Orchestras. Lazic enjoys a significant following in the Far East appearing with NHK Symphony, Yomiuri Nippon, Sapporo Symphony, Seoul Philharmonic and Hong Kong Philharmonic, amongst others. He has built close collaborations with some of today’s most sought after conductors including Giovanni Antonini, Iván Fischer, Andris Nelsons, Robert Spano, John Storgårds, and Krzysztof Urbanski. The 2016/17 season began with Lazic’s debut with Boston Symphony at Tanglewood Music Festival, under Andris Nelsons. Return engagements include Konzerthausorchester Berlin and a European tour with Budapest Festival Orchestra under Iván Fischer. The collaboration with BFO will also take him to the Far East where he gives four concerts in China. With Channel Classics he has released a dozen recordings, including his critically acclaimed "Liaisons” series; the latest of which couples together C.P.E. Bach and Britten. His live recording of Rachmaninov's Piano Concerto No. 2 with London Philharmonic Orchestra/Kirill Petrenko received the prestigious German Echo Klassik Award. A recording of the Beethoven Triple Concerto was also released to critical acclaim, for Sony Music. Lazic’s next release will be a solo recital disc of works by Franz Liszt, for Onyx Classics, appearing in spring 2017. As a recital artist, Lazic appears at such venues as Wigmore Hall, Schubertiade Hohenems in Austria, Teatro Colón Buenos Aires, Melbourne Recital Centre, Gilmore Keyboard Festival and "Le Poisson Rouge” in New York. This season he will also give recitals at the Menuhin Festival Gstaad, in Germany and in the Far East. Dejan Lazic’s compositions are receiving increased recognition, and he was recently signed as a composer by Sikorski Music Publishing Group. He is the latest contemporary composer to join the ranks of esteemed names in the Sikorski catalogue, such as Shostakovich, Prokofiev, Khatchaturian and Shchedrin, amongst many others. His arrangement of Brahms’ Violin Concerto as a piano concerto was premiered with the Atlanta Symphony Orchestra in 2009, it was recently also published by Sikorski, and has enjoyed much ongoing success, at BBC Proms, Concertgebouw Amsterdam, Hamburg Easter Festival, Chopin Festival Warsaw, in both Americas and in Japan. 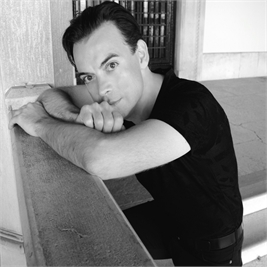 Lazic has performed his "Piano Concerto in Istrian Style” several times since its premiere in 2014, further performances are already being planned. He will have his first orchestral work, a tone poem entitled "Mozart and Salieri” (after Alexander Pushkin), premiered by Indianapolis Symphony and Krzysztof Urbanski in spring 2017.